1:00 - 4:00 PM Homebrew Class (Craft Cartel: 557 SW 12th Ave, Fort Lauderdale, FL 33312) Come out and learn how to brew your own beer at home! 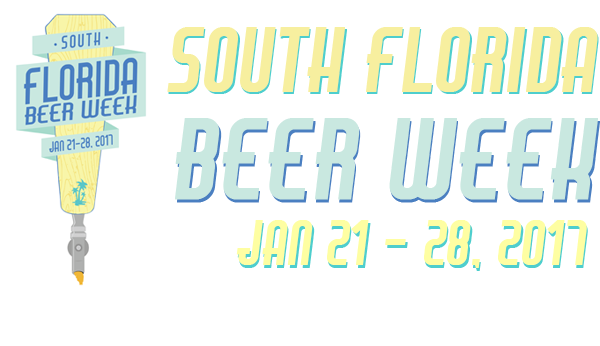 1:00 - 5:00 PM Jupiter Craft Brewers Festival (Roger Dean Stadium: 4751 Main St, Jupiter, FL 33458) Currently sold out, but please tag us in your pictures @southfloridabeerweek. For more info check here. 5:00 - 10:00 PM Miami Craft Beer Festival (Sun Life Stadium: 347 Don Shula Dr, Miami Gardens, FL 33056) For the fourth year Miami Beer Festival has been bringing great beers to the Miami area. For more info please check here. Thank you all for a fantastic week! Please make sure to check back Monday for a wrap up of all the great festivities. Does anyone know of a good business card app? Day 3: Let the Fun Begin! Your #SFBW2016 Guide is Here!